As most of you know, Mr. Woodsy and I have been very busy thus not too many crafts/DIY/home renovation projects going on at our house. I put out a call for some guest bloggers to share amazing projects, and I'm delighted to introduce you to a dear friend and coworker of mine, Sarah. Our first guest blogger. 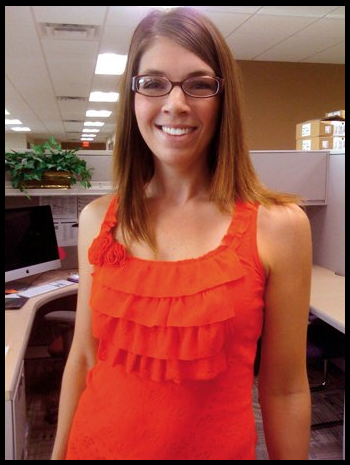 She is a busy working momma of 2 wonderful children and is very crafty, but has no time to blog about her awesome projects! Sarah will guest blog on Sew Woodsy from time-to-time and share her creativity and talent with the blogging world! *Sarah is modeling her ruffled tank top she made using the tutorial from Anngela's Pretty Little Things. Hi, I’m Sarah. Follower of Sew Woodsy and friend of Mrs. Woodsy. Graphic Designer by day and full-time mommy/crafter/sewer/maid/waitress/boo boo kisser... I’ve gotten off track.... Anyway. I have a 3-year-old girl and 1-year-old boy at home who fuel my need to buy cute baby things. After the initial first-time-mommy, I-need-everything-new-for-my-baby, delusional world I was in wore off, I realized I was crazy for spending that kind of money on my kid’s clothes. Now, I buy used or I sew! I taught myself with the help of YouTube videos, craft blogs like this one, and I read the instructions on my sewing machine. This dress came about when I took a stroll though the Walmart fabric section (dangerous lunch-break habit Mrs. Woodsy and I have) and saw this paisley. Had no idea what I was going to do with it, but I loved it. I had an old Target tank top remnant of mine (I cut the bottom off of it for another project) sitting in my fabric pile at home, put the two together, and came up with a dress for a sassy 3-year-old. I started by measuring my kid (I got her to sit still with a combo of snacks and “Princess and the Frog”). I put the tank on her inside out, pinned the straps at the shoulder to fit her, and marked how long I wanted the tank. Then I measured (eyeballed) how long to make the skirt portion. I cut a rectangle of fabric from the paisley and sewed it into a tube. I used “french seems” which I learned from here. Then I cut a 3” wide strip twice as wide as my rectangle, hemmed it, and sewed it into a tube. Then I pinned like crazy and sewed them together (I am still shocked this came out as well as it did). All was well until 3-year-old put it on and kept pulling the front down to her bellybutton in a very non-lady-like fashion. I figured the tank was still too big, gathered up the front a smidge, and hand sewed--like so. Done! Total cost was about $3 and I recycled an old tank! Hope you’re inspired to try your own! Wow, the last Wednesday of the month is quickly approaching us. With traveling for work in addition to the shortest month of the year -- it really made it feel like it flew by! We are celebrating a very important birthday this coming weekend... Mr. Woodsy's birthday! So, with that being said I highly doubt there will be any crafting going on this weekend! Here are a few of our favorites from last week's link party! Remember, if your project was featured, please grab a featured button. 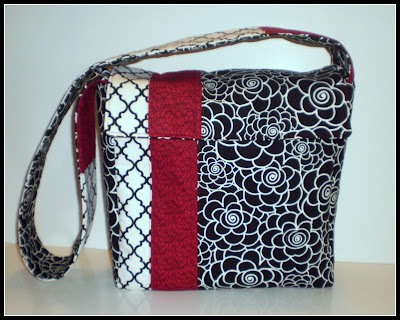 What a fabulous bag for your first attempt at this pattern! 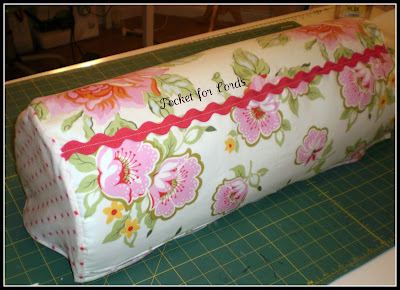 I absolutely love everything about it, and the fact that you can make it with two fat quarters!!! How cool is this pin cushion? I absolutely fell in love with it at first sight! Oh, how I love stamps! I've never made my own, but I'm truly inspired to give after this mini tutorial! Great job making this a longer dress! I've never thought to revamp a dress like this! 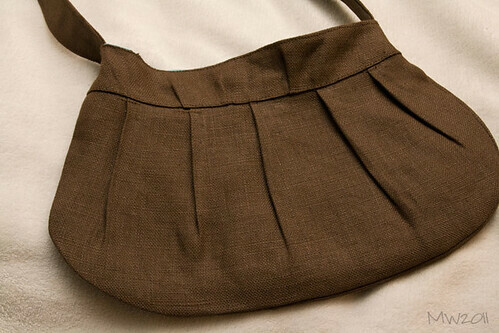 Super cute bag once again! I love the colors and patterns! We recently received a question from a reader about Heat-N-Bond, and I wanted to share the question and my answer with everyone since I've received this question a few times now. "Hi, my question is that when you use heat-n-bond for putting appliques on material, will the edges start fraying later on when you wash it? I have a project that I want to start but I am hesitant that the edges will fray? Thank you, Donna"
Answer: I have used the Heat-N-Bond method on multiple projects now. Including one of the first projects I ever posted about; Cutting Heat-N-Bond Adhered Fabric with the Cricut. I added this simple applique to a shirt that had multiple holes on it. I essentially restored the shirt. It was, and still is, one of my favorite shirts to wear. I can honestly say I've washed it at the very least a dozen times since last August, and it has yet to fray. Now, does that mean your Heat-N-Bond fabric won't fray? No. It could still fray--there is always that possibility, but I'm going to safely say that from the times I've worked with the Heat-N-Bond it has yet to fray on me! This may also be because I pre-wash ALL the fabric's that come into our house. Pre-wash all clothing and fabrics before using Heat N' Bond Iron-On Adhesive. Do not use fabric softeners. Don't overheat Heat N' Bond; this will cause an insufficient bonding. Don't iron over the plastic instruction sheet. Don't sew--due to the unique thickness of Heat N' Bond's adhesive machine stitching is not recommended. It is machine washable. For best results use the delicate cycle and warm water. Heat N' Bond is not recommended for projects or items that require dry cleaning. I hope this answers your question, Donna! *If anyone ever has a question--please don't hesitate to email us. We will answer your burning questions in a timely manner and potentially post them to the blog to help other readers! As most of you know--I was on the road last week for work, so I appologize for not posting last week. I'm hoping to make some time in my schedule to love and nurture Sew Woodsy! With that being said, whose working on St. Patrick's day decorations? We aren't Irish, but we LOVE beer! Unfortunately, I'll be out of town for St. Patty's Day, so I won't be doing much decorating for our favorite March beer drinking holiday (second to our favorite May beer drinking holiday)! Has anyone made any decorations and/or crafts? I can't wait to see! Next month I'm going to be BEYOND busy with work, and let's face it--Mr. Woodsy builds stuff; he is just now learning this thing called "technology". If you've always wanted to be a guest blogger on someone else's blog--the opportunity is here! We are looking for a few guest bloggers. If your interested, please send us an email with the craft you'd like to guest blog about; followed by pictures and a full write up on your project! I will now start featuring last week's linky party favorites on the new link parties blog post each week! Last week we had 49 fabulous crafts! Yes, 49--one away from 50, and yet I had no time to publicize on facebook or twitter. I thank all of you for spreading the word for me! Wow, this is purely amazing! My good friend, Sarah, (who will be guest posting next month), does amazing projects like this ALL the time! 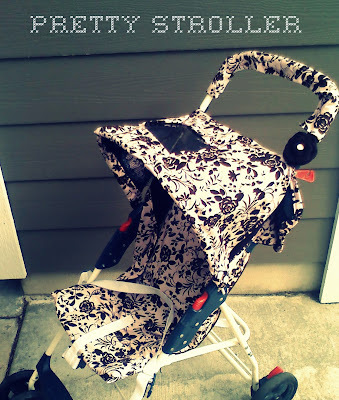 If we had a kid I would totally makeover the stroller, too! Ahh, how I love thee dollar store! I would have never guessed that this "frame" was once a zen garden! Super creative! Way to think out of the box and great job hand painting the zebra stripes! Great job on this apron! I love the sash and flower too! This could make for an easy and inexpensive bridal shower or house warming party gift! 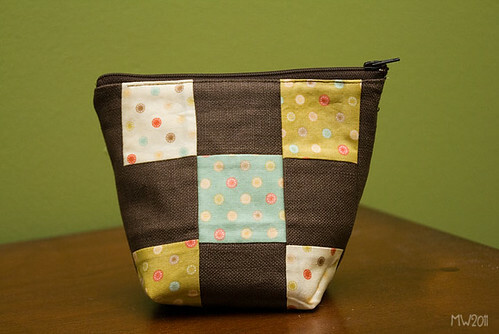 I absolutely LOVE your patchwork cosmetic bag! I've yet to attempt a patchwork project, and I think you did a great job! I typically always struggle on my first sewing project (since I still consider myself very much a beginner), and by the second, third, and fourth time--I'm a pro! Love, that you could get your husband involved in on this project as well! I love the idea, and maybe I'll give it a try for next Valentine's day except our last name is long--9 characters long, so I'm not sure if it would fit on a small heart... that or the writing would be microscopic! 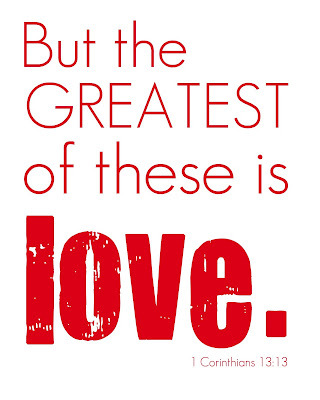 I hope everyone had a wonderful Valentine's day and got to spend it with someone you love! I got back from my work trip just in time to enjoy my decorations a few more days. They will soon be boxed up and I'll have to wait another year to bring them out again. 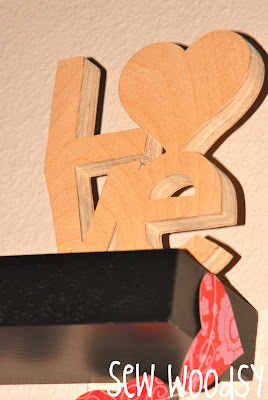 A few week's ago I asked Mr. Woodsy to give his scroll saw another whirl and cut out the word "LOVE" for me. I was inspired by the LOVE cut out on the Home Accents Cricut cartridge, and knew it would make for a great wood cut-out. Mr. Woodsy used literally a scrap of birch wood to create this amazing piece of art! I cut out the word "love" on my Cricut at 5-1/2 inches. Mr. Woodsy then traced it and within a few minutes had the word cut out (and all in one piece). With a little sanding; it was complete! I originally wanted to paint it red, but due to my heavy load at work I never got around to it. I know he's happy to see for once one project stay a natural wood color. There's always next year for paint! Wow, I can't believe it's Wednesday already! I'm on the road this week for work, so that's why there are minimal post! Mr. Woodsy is holding down the fort *and just maybe getting a project complete! I can't wait to see what everyone has been working on! "Hoo" loves you... that's right! I've made another owl. For those of you who are new to Sew Woodsy I sewed up the cutest owl back in October (a Halloween owl to be exact)! If your interested in making an owl of your own you can find the free pattern HERE. I've made a few of these owl's over the past few months as gifts, and now I have my second owl of my own... my Valentine's owl! Isn't it just precious? Back in October, I made Creepy Critter Boxes that I used as part of my Halloween decor. When I made them I wanted to make sure that I could take the creepy critters out and use the shadow box for something else. I was recently cleaning and found my shadow boxes again! *Yes, our house has been quite a disaster the past few months with the finishing and now completion of the craft room! I started brainstorming a variety ideas when this project came to mind. Ultimately, I'm very pleased with the way this came out! Pictures, just don't do it justice! -Cardstock or adhesive felt that the tissue paper can be glued on to. Cut a heart using the cardstock or adhesive felt. Then cut one inch squares from the tissue paper. *My tissue paper was two toned so it gave for a nice pink and red effect! Plug in the hot glue gun, and start glueing! I folded the square in half and then in half again, so that I only had a quarter of the size of the 1x1 piece of tissue paper. I then place a dab of glue on the tip of the square bottom, and use the hot glue gun helper wand (as pictured above) to place it on the heart. I started from the bottom tip and worked my way up. My heart is about 8-10 inches in size, and it took me about an hour of non stop folding and glueing to finish this. Place the heart on to scrapbook paper, and then place it into the shadow box. Display accordingly! We were close once again to hitting 50 projects, but still no cigar! Maybe, next week! In the meantime we had some amazing projects linked up! Here are my favorite five in no particular order! *Remember if you were featured to grab a button and display it proudly! I absolutely LOVE this craft project! Super easy and yet makes a BIG impact! I can't wait to give this a try for future holiday projects and for friends who are having babies and getting married! 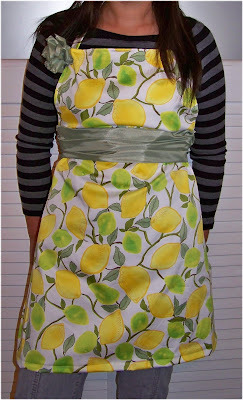 I'm so honored that Erin from Crafts & Sutch linked up at Sew Woodsy! I absolutely LOVE all of her printables and use them with all my holiday decorating! I currently have this printable framed on one of my shelves. She has 4 different versions of this printable available on her blog! This is absolutely darling! 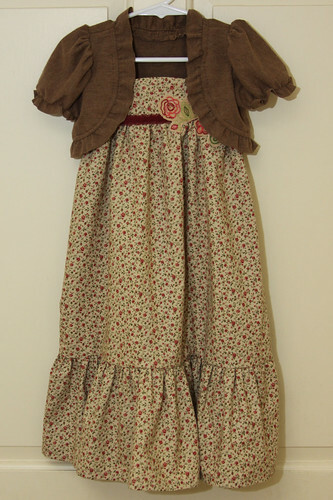 It makes me want to start sewing dresses for all of my friends little girls! I can't wait to read her tutorial for the shrug and tipson how to make your own patter for the dress in the future! I subscribe to Budget Wise Home and read each and every post, so of course I'm flattered that Heidi linked up her wall! This is an easy enough day project to make a huge impact in a space. I'm hoping to paint a magnet thick strip on one wall of the craft room... but after we painted all those stripes in the living room--not sure if Mr. Woodsy will go for it! Happy first Wednesday of the month! I'm not sure about you, but I had a pretty productive weekend in the craft room! I got quite a few Valentine's inspired crafts completed and can't wait to share them ALL with you! I recently got an email from Linky Tools (what I use to host these fabulous parties), about how they were going to start charging for there services. At first I was a little upset and contemplated stopping my link parties; however, I realize that Brent, the owner of Linky Tools, has to make money as well. As many of you know--blogging can take up a lot of your time. You have to treat blogging like a job and not allow it to take over your life. So, I paid for the $24 yearly subscription fee, and wanted to let all of my followers know. I want you to know this because I want you to stay dedicated to all things crafty and sharing them with others around the world! With that being said... I'd love to see us get over 50 crafts linked this week! Spread the word and tell others about this fabulous link party! -Please make sure your following us (we'll follow you back as long as you leave us a comment telling us that your a new follower)!